Which of the first season episodes was your least favorite? Which of these gentlemen is your favorite? Which of these ladies is your favorite? Do toi like that fact that Sherlock is awkward around women? How are males represented in Sherlock? After seeing season 4 are toi happy with the direction the montrer 'Sherlock' is going? Who do toi ship with John Watson? I recently started watching BBC Sherlock and it immediately became my favourite series ever. There is so much professionalism in this show. It's so perfect - the photography, the script, the acting, the musique - everything really. I don't believe that there is one Sherlock episode that is bad ou mediocre at least. They are all great, but as it happens with all things, some episodes are better and some worse. Here is my personal liste of all Sherlock episodes from worst to best. After effort of years, finally Sherlock with help of Microft manages to put an end to the terrorist organisation which was a threat to the world. 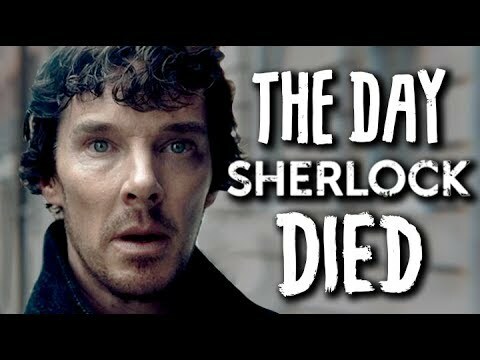 The final step was when Jim Moriarty kills himself after seeing his terrorist empire collapsed. These are some of my favori citations par Sherlock throughout the series in no particular order and not chronological either. I may have missed out on a few but here's what I remember! Of how I have none. 1. Hero of Reicenbach- Hero,Richard Brook so that tell us that he will be hero at the end.. I loved the relationship between Sherlock and Mrs. Hudson. We know from series one that they were fairly close; Mrs. Hudson hugs Sherlock when she first sees him, and Sherlock isn’t exactly a “huggy” person. He made certain that her abusive husband was killed. She “wasn’t their housekeeper” but she made sure “the boys” were alright. It was pretty obvious from the get-go that they cared for each other. 1. …you are bored (BORED. Bored!!). 2. …you are on FIRE! 3. …you ponder the best way to destroy all self-check machines for the sake of your sanity and mankind. 4. …you hate those bloody self check out machines. 5. …body parts in your fridge, microwave ou other cuisine appliances is just de rigueur. 6. …the idea of body parts in the fridge/microwave doesn't seem like a deal-breaker for a flatmate. According to the Daily Mail, Sherlock will fall a life-threatening 70 foot from the roof of Saint Bart's Hospital in the first episode of the new series. The episode, entitled A Scandal In Belgravia, is a remake of the original short story, A Scandal in Bohemia. It is unclear if Sherlock fell from the roof ou was pushed par an enemy but it is certain that he is rushed to hospital after the fall. The BBC has confirmed that the seconde series of three 90-minute episodes will air in Autumn 2011. Irene Adler is also due to make an appearance during this episode. guys, if toi l’amour me then actually become a fan. Seriously, toi humans really are idiots. a poll a été ajouté: Who portrays Sherlock better? Which words did Soo Lin Yao manage to translate before she was killed? Scared par writers of Sherlock! Gatiss, THOMPSON and Moffat!